Running schools is, ultimately, like running an airline. Safety is your No. 1 priority, even though it’s not what you’re in the business of doing. If we cannot guarantee school safety, our schools cannot continue to exist. Airlines obsess over safety. Customer service, well… that’s another story. But if we can set aside the YouTube horror stories for a moment, what the airline industry has accomplished since the late 1980s and especially since 9-11 in terms of safety is remarkable. Air travel is among the safest ways to get around anywhere. Safer even than hailing a cab to head downtown. All of this is the result of a maniacal focus on keeping people safe. From the ticket takers at the gate to the flight attendants on board, every single person who serves you during your flight has safety squarely on the brain. That’s because what the airline industry has discovered, and what most schools have yet to figure out, is that safety is rooted in mindset, not compliance. Everyone cares about keeping students safe. That’s obvious. 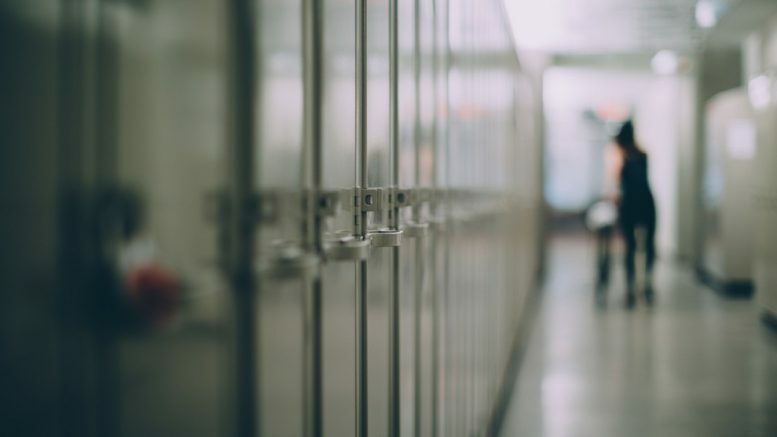 But the notion that school safety underlies everything–that it’s a core function of all jobs, and not just those of counselors and security officers–is not yet part of the fabric of K-12 culture or professional training. At our core, K12 Insight helps schools listen to and learn from their local communities. Last year, several of our clients took part in a national benchmark study on school climate. One of the dimensions we measured was school safety. Almost across the board, results showed that teachers and administrators have a higher opinion of school safety than do parents or students. This disconnect shines a floodlight on a critical problem: There is no clear definition of school safety in our schools. #1 School safety is another thing to do. There is no box you can check that will guarantee school safety. You cannot say, “Well, we’ve got school safety covered, what’s next?” Safety has to become a part of your culture, as natural and ubiquitous as teaching and learning. It has to underlie every decision you make in your schools. #2 There is a silver bullet. We obsess over silver bullets. Yet, there almost never is one for anything. Locked doors and metal detectors are nice to have in the right situations. But a truly effective school safety strategy starts up front, with a strong board policy. From there, staff at every level need a clear plan and a process to ensure that policy sticks. Without these “3Ps,” you’ll struggle to create a culture of school safety. #3 Data-mining is a good idea. Education Week published a fascinating story on this. School district leaders are experimenting with social-media monitoring, essentially tracking students’ online activity, in an attempt to identify potential threats. It’s an interesting concept. But this is one of those situations where the cure is almost certainly worse than the disease. Before you start mining student social media data, and asking people for passwords, consider the precedent you want to set. #4 Because there is a policy, everyone knows about it. By itself, your school safety policy is just a shelf document. If you don’t share your policy with your community, if you don’t take the time to ensure that every single person understands the policy the way it was intended, it’s not going to do you or your schools any good. #5 School safety is one person’s job. Don’t assume that just because you have a strong counseling staff or school safety office that you’re covered. School safety isn’t the job of one or two skilled people. Create a dashboard to monitor school safety and make sure each individual knows what to do when. If you can’t forecast exactly how long it takes to identify and respond to a bullying complaint, for example, or track who on your team is responsible when someone brings a gun into one of your school buildings, you have a serious school safety problem. #6 The board needs to execute the policy. While the school board helps set the policy vision, it’s school leaders and the community that actually execute the policy. The best way to keep your board informed isn’t to engage them in every single detail of school safety. Pick three or four key performance indicators that clearly illustrate your progress and share those KPIs on a regular basis. If a crisis does happen, make time to talk specifically about that issue, and put new safety measures and protocols in place. #7 When you’re done, you’re done. When it comes to school safety, there is no such thing as one and done. Circumstances are always changing. Technologies are always changing. Your school safety policy requires constant nurturing. It needs to change in lockstep with the world around it. How are you facing issues related to school safety and student well-being in your district or school? Tell us in the comments. Public schools aren’t failing, but they need saving. How do you stack up when it comes to school climate? Be the first to comment on "School safety needs to be a national obsession"